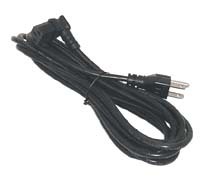 This detachable 15-foot AC power cord features a 90° down angle plug. 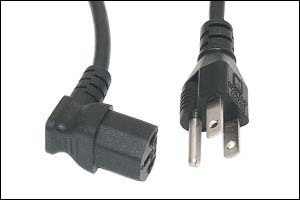 The IEC 320 type cord with down-angle plug is the standard power cord supplied with AlienBees ABR800 flash units, but can also be used with AlienBees, White Lightning, and Einstein flash units, as well as other flash units and electronic devices in situations where a down angle plug would be advantageous. Note: The Paul C. Buff, Inc. items supplied by KHB Photografix are primarily for the convenience of Canadian and international customers. We recommend that U.S. customers requiring parts or service contact Paul C. Buff, Inc. directly at 1-800-443-5542, or through their website, paulcbuff.com.